You may have noticed my rather skim blogging lately. 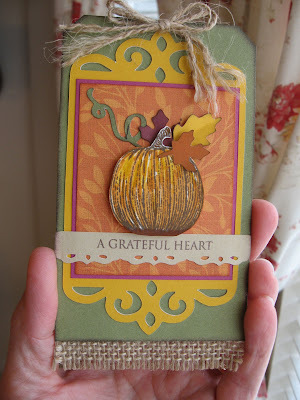 For the past handful of weeks, I've been working away on my Open House with the generous help of fellow new consultant DiAnn Denson, a very talented lady and good friend. Check out her blog when you get the chance. 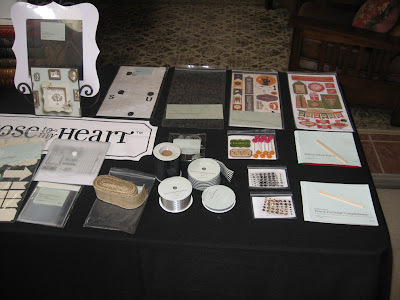 DiAnn and I created numerous samples with all the new Close To My Heart products and showcased the new Artiste Cricut cartridge. 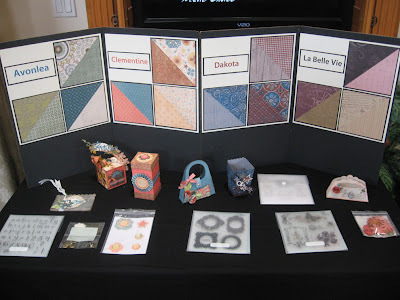 Today I thought I'd share my Open House set-up for those who may have missed it and for those who might be interested in hosting an Open House themselves. After six years of being a consultant and hosting Open Houses, I have found this routine to work rather well for me. 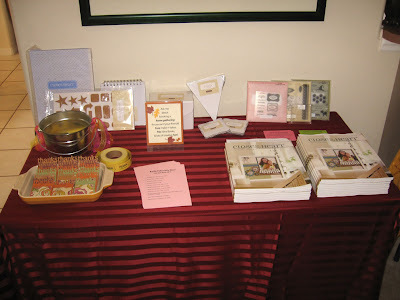 The welcome table. Raffle prizes line the back of this table. New Idea Books with promotion flyers tucked inside. A "how to earn raffle tickets" sheet and a free goody are handed out to each guest as they come in. Free goody for each guest. 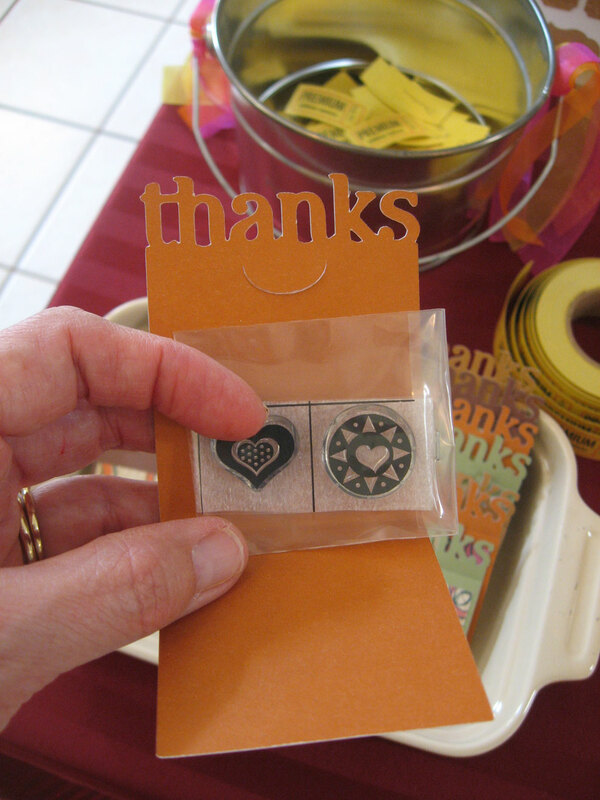 This little "thanks" card is on the new Artiste cartridge. But what's inside? 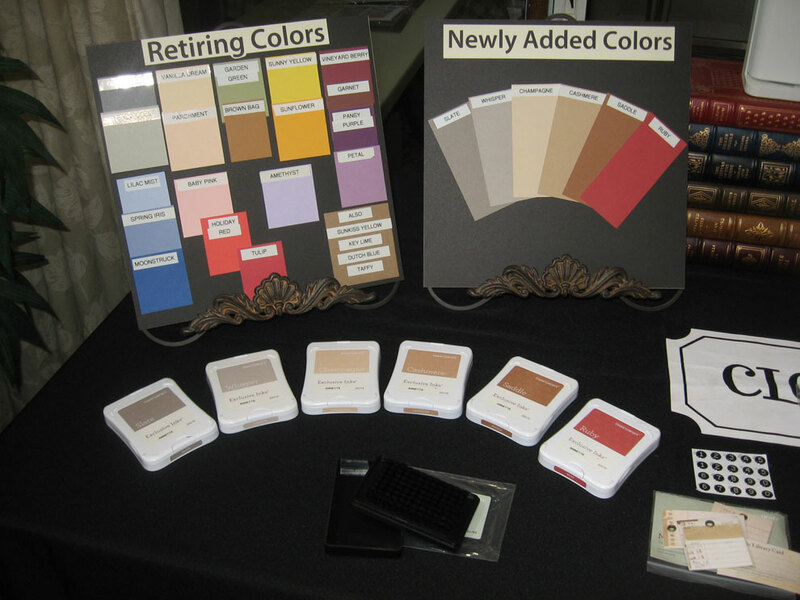 The next big table that guests see is the promotion table. 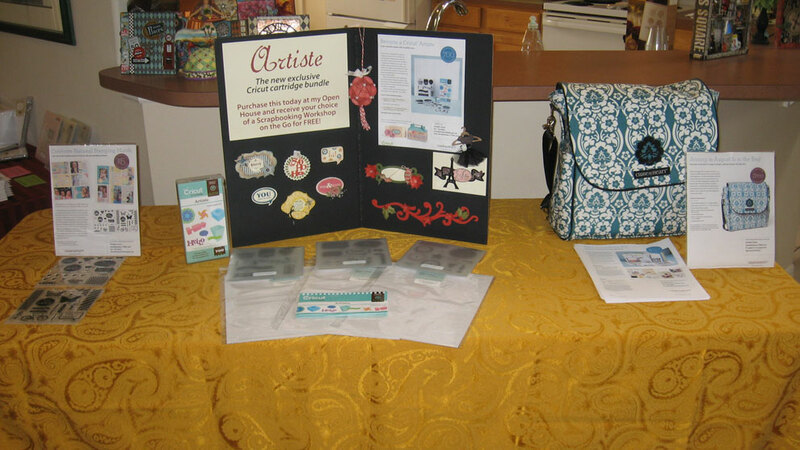 Here I displayed the new Artiste cartridge bundle, the "It's Your Day" National Stamping Month promotion, and the new Consultant Kit offerings with the exclusive tote bag for new sign-ups. 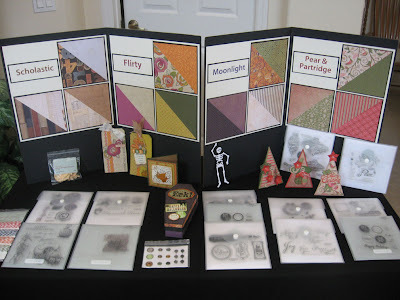 Display boards showcase all the new paper packs. 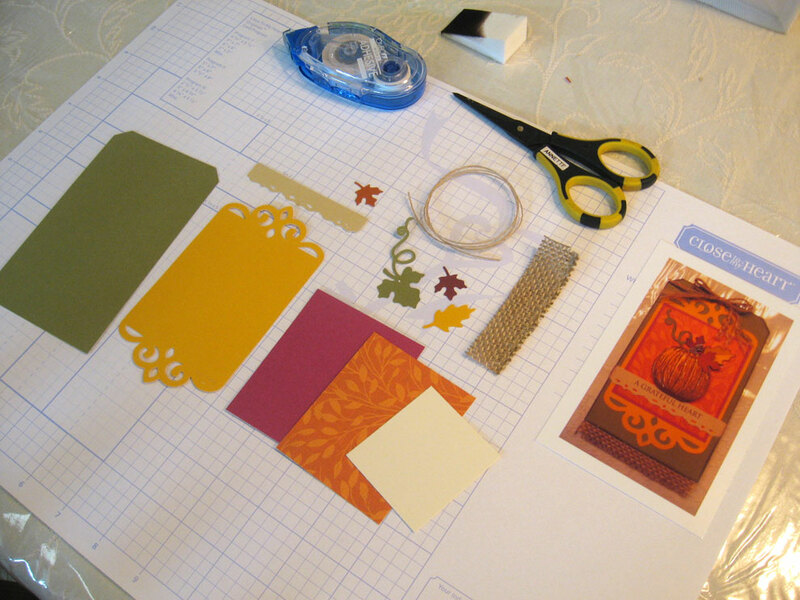 Samples made on the Artiste cartridge plus coordinating stamps and embellishments adorn the table. 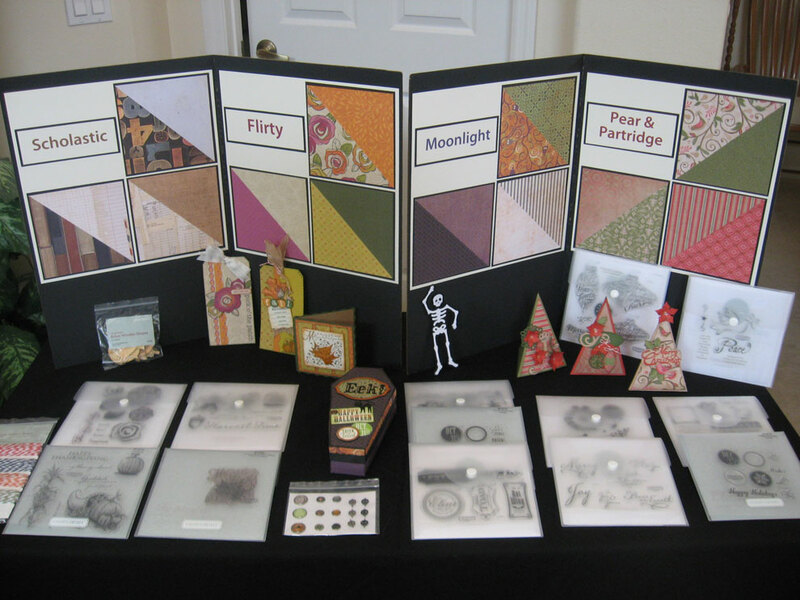 Eight new paper packs in all! One table showcases all the other embellishments and new tools. Special thanks to fellow consultant Jacki Tibbitts who attended convention and brought back many new products to share at my Open House. This display showed guests what our new colors look like and what colors retired. Guests got to make this simple and fun harvest tag featuring new stamps, paper, new alcohol markers, new burlap ribbon, and some cuts on the new Artiste cartridge. Each guest has a photo to follow when creating their make-n-take. On each end of the make-n-take table are small baskets for Operation Smile. 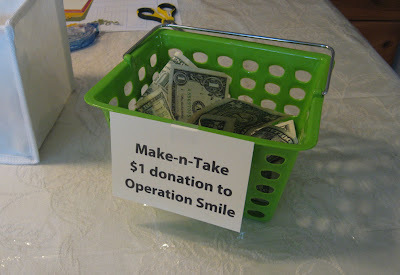 I raised over $25! 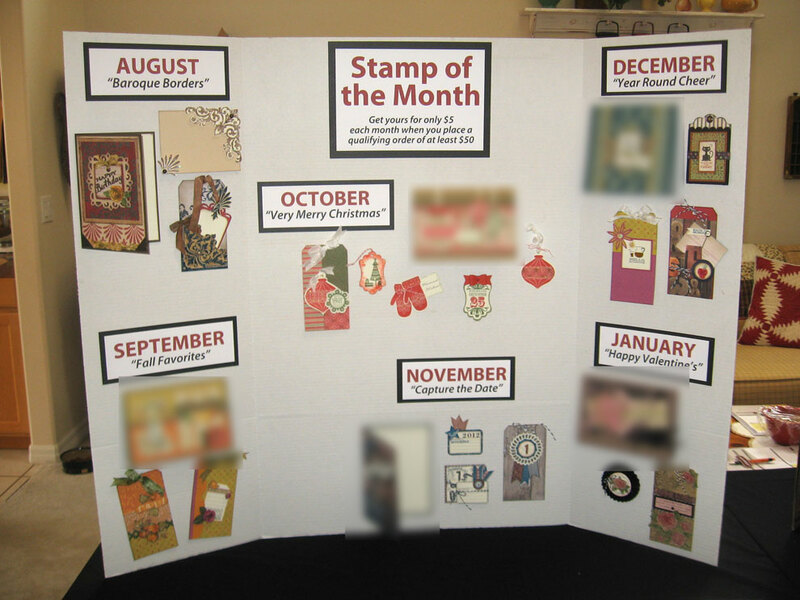 I didn't take a photo of it, but I had a "store" on my back porch where guests could shop for items ranging from 2-page layouts, cards, altered items, older stamp sets, retired paper packs, and more. 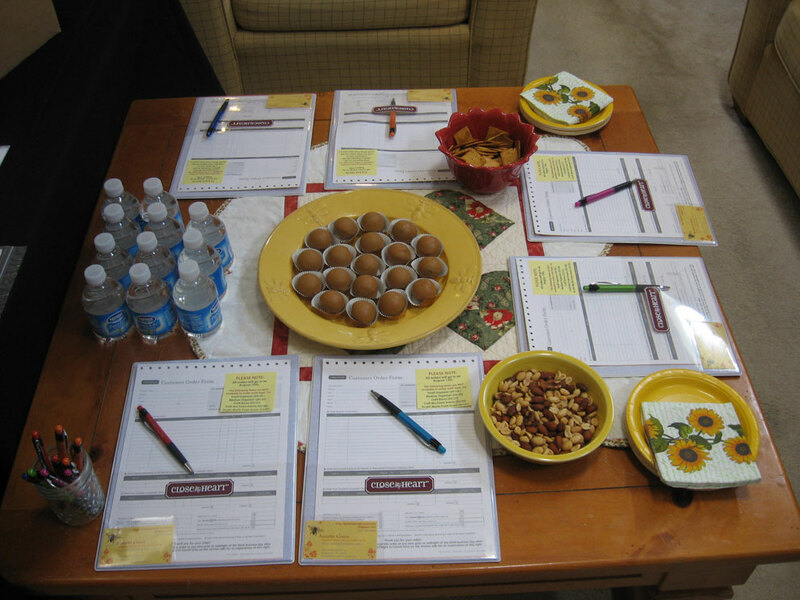 After guests browsed the open house, they could relax with their new Idea Book, have a snack and place their orders. 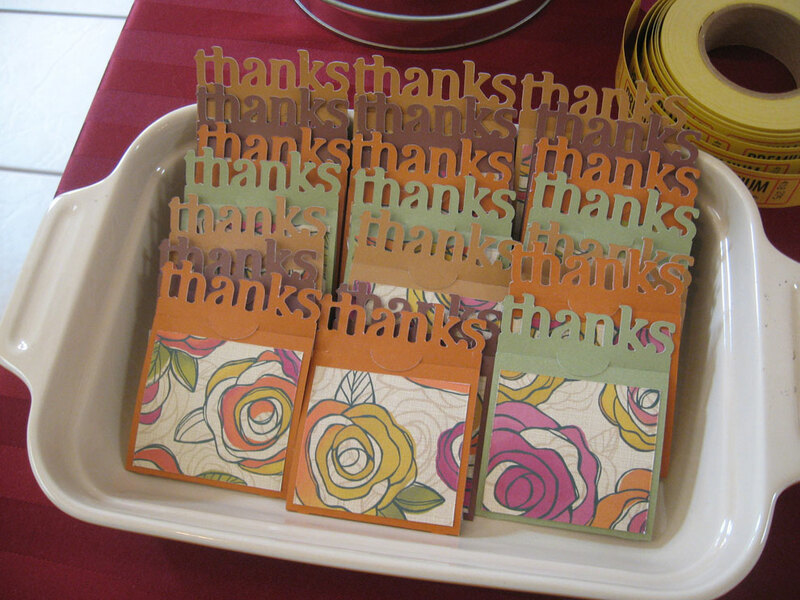 If you attended, I thank you again for coming and sharing in the love of Close To My Heart products. 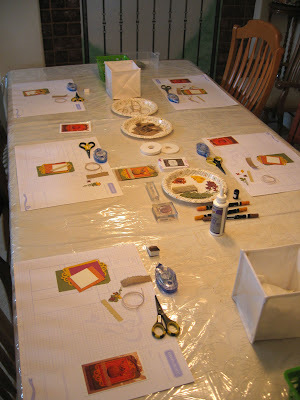 It's going to be a great season of creating! The Open House was extremely successful and I can't wait to start creating more projects to share with you. Stay tuned this week for more photos of samples made with the new Artiste cartridge. Wow this looks amazing! I love your set up and that you are already done with your SOTM blog hop stuff. LOL way to be on top of it. I bet everyone had a great time and loved all the details of your day. A lot of work for you and a lot of fun for your customers! what a great open house...I love what you did. I am now inspired to try another one. What an amazing party set up! You did a fabulous job! I love your displays!